Given its economical and technical benefits, the assembly sequence planning remains an indispensable process during the life-cycle of a mechanical product. 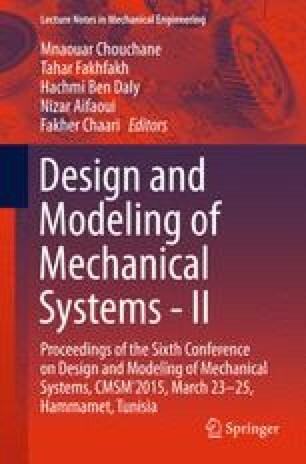 Many approaches and methods had been proposed to design and optimize the assembly sequences of a mechanical product. Moreover and in order to be more efficient, many researchers adopted integrated solutions to the CAD systems. In this paper an approach using a collision study and permitting the generation of the assembly sequences planning of a mechanism is proposed. The collision test is performed by the use of both the API and the interference test tool of the CAD software. Driven by the obtained results and the collected data from the CAD assembly file, the developed algorithm determines only feasible sequences.